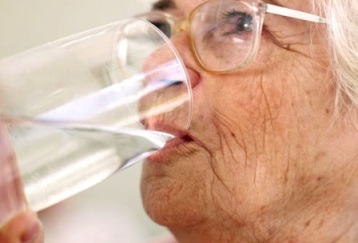 Water is the most essential anti-aging nutrient. Anti-aging nutrition refers to the types of foods and beverages that best support healthy aging. Drinking plenty of water daily to stay hydrated is the foundation of optimal health and longevity. Water is essential to every function in the body. In the most simplistic terms, a healthy body is composed of healthy cells. A healthy cell is one in which the nutrients can easily get into the cell and the toxins can efficiently get out. This refers to a process called cell water turnover, which is not efficient when the body is dehydrated. In addition to drinking clean water, eating primarily a plant-based diet has been scientifically proven to slow the aging process and prevent disease. Most people who want to live long and stay healthy understand the importance of eating the right food. However, what many don’t realize is that our most essential anti-aging nutrition comes from water, air, and sunlight. Drink plenty of clean water. Consume at least ½ oz. per pound of body weight of pure water daily. The best anti-aging water to drink is ionized water because it is super hydrating, anti-oxidizing, alkalizing, and cleansing. It helps remove unhealthy fats and acidic waste from the body. However, any water that is filtered of contaminants and still contains naturally occurring minerals will adequately hydrate the body. Breathe deeply to oxygenate. Develop a daily, deep breathing practice that will help oxygenate and nourish your blood, brain, and bodily tissues. Your lung volume and oxygen uptake efficiency is a primary marker for how long you will live! Practicing yoga or meditation can also help to develop a deep breathing habit. Take a free breathing test. Get safe sun exposure. Short intervals (10-15 minutes) of safe sunlight on your skin every day will enable your body to produce adequate levels of vitamin D. Research has shown that maintaining adequate levels of vitamin D will drastically reduce your cancer risk. Avoid sunburn. Choose foods low in saturated fat. Plant-based foods are low in saturated fat. Meat and dairy products are high in saturated fat. Eat small amounts of healthy fat foods, such as salmon, nuts, avocadoes, and olives. Avoid excess meat and dairy products, including the “low-fat” versions of dairy products and other processed foods. Eat a colorful food variety. To get the full spectrum of key anti-aging nutrients from your food, especially anti-oxidants and phyto-nutrients, choose at least one fruit or vegetable per day from the five key color groups—red, orange, yellow or light green, dark green and blue or purple. The easiest way to get adequate amounts of these nutrients is by juicing fruits and vegetables. Maintain a healthy weight. The number #1 key to managing weight through nutrition is to drink plenty of filtered drinking water. Restrict calories by choosing an abundance of high-quality, nutrient-dense foods, such as vegetables, fruits, whole grains, nuts, and seeds. The more live food you eat, the less likely your body will need to hold onto fat. Take basic daily supplements. Since it is difficult to get adequate nutrients from our food (for many reasons), we recommend taking whole-food, nutritional supplements. Our basic daily supplement recommendations for every 40+ adult includes a food-based multi-vitamin, vitamin D3, magnesium, and turmeric. Many natural supplements, including herbs, vitamins, minerals, and enzymes, can be taken for specific health conditions. Seek the advice of a natural health professional. Anti-oxidize with super berries. Some of the most potent anti-aging super berries include seabuckthorn, goji, mangosteen, amalake, camu camu, amla, and acai. We highly recommend taking one or two of these super foods daily—which come in liquid, powder, or pill form. They will supercharge your immune system and help slow the aging process. Alkalize with super greens. One of the quickest ways to reverse the aging process is to de-acidify the body with super green formulas. Choose a formula that includes chlorophyll-rich whole foods such as barley grass, wheat grass, alfalfa grass, spirulina, chlorella, blue-green algae, or E3Live AFA (the most nutrient-dense food known to mankind). Super green formulas often come in powder, flake, or liquid form and are easy to take in water or juice.